These are bulk capacity bins for heavy waste, with models available up to 5.4 cubic meters in capacity. 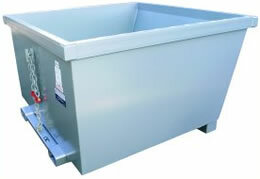 Manufactured from 5mm plate and channel reinforcement, these bins have an SWL of 3000kg. 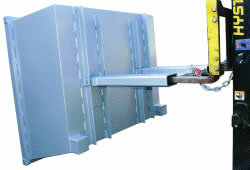 The JSD bins are fitted with oversize fork pockets to suit larger Forklifts. 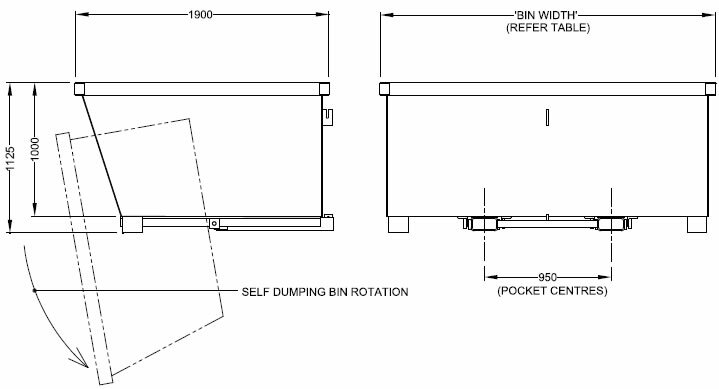 They are self dumping bins with the operator not having to leave the drivers seat during the tipping cycle. Enamel paint finish is standard.